You know that feeling you get every time you see a new dog? That somewhat uncontrollable urge to run over scoop that pup up and snuggle it for hours. As tempting as it may be, think about it from the dog’s point of view, scary right? If a dog sees you as a threat they may feel like they have no choice other than to bite. Here are some tips on how to greet dogs in a non-threatening manner. Good day, Pet Blog Readers. Today we have an interesting article written by guest blogger Christian Wolb, from Hopi Animal Hospital in Scottsdale, Arizona. 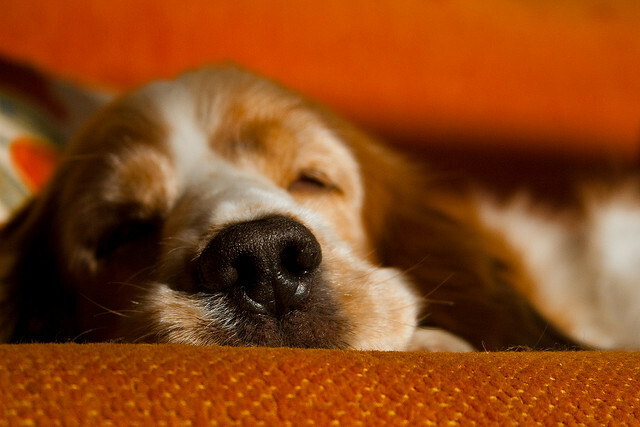 He has compiled a list of 7 fun facts you may not know about your dog. 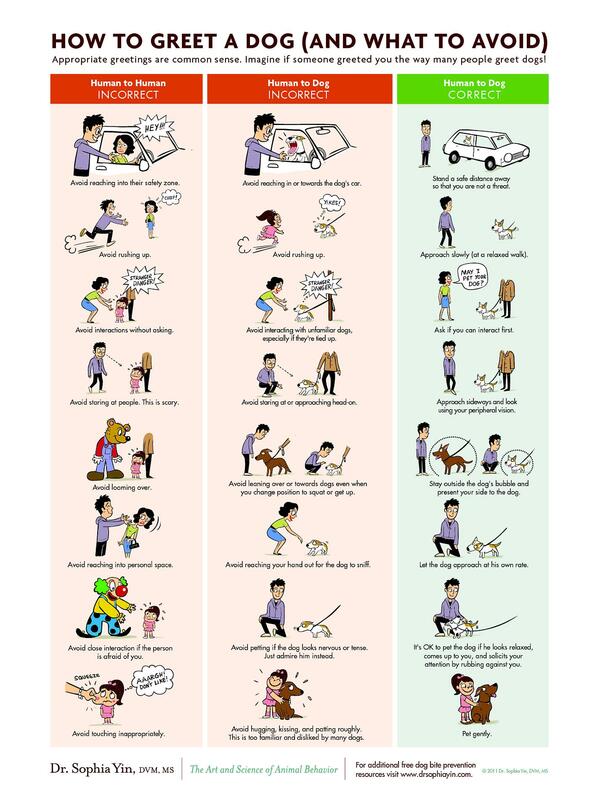 Some are fun behaviors, some are early indicators of potential health problems. Take a look, and if you have any fun facts about dogs that you would like to share, let us know in the comments section. Thanks! How well do you know your dog sitting on your sofa? Why is he playing odd sometimes? 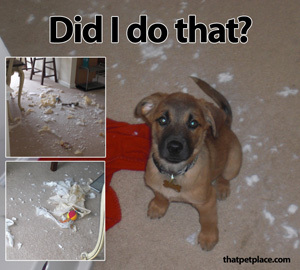 Is your canine doing it on purpose or just desire to make fun of you? The days you are with your dogs do not guarantee how good you know them as well as their odd practices. Let’s try to find out some wonderful dog facts and know them more than what their wagging tail seems to tell. Canine Fact Number 1: When your dog chases his/her tail, he might need help from the vet. A wide variety of reasons clarify why dogs chase their tail: exercise, predatory instinct, discomfort or presence of fleas. Nevertheless, to talk with your vet is the safest and surest approach to get the actual reason why your dog keeps chasing his/her tail. Canine Fact Number 2: Dogs dream while asleep. Do not be shocked if you see your dog barking or moving his/her feet while asleep. He/she may have been chasing his/her dearest at the park in his/her dream. 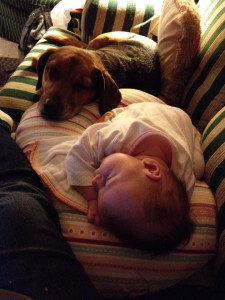 Humans and dogs share the same SWS (slow wave sleep) as well as REM (rapid eye movement) while asleep. So let him/her experience the moment to savor twitching while the eyes are closed. Dog Fact Number 3: They have night vision. Do you know how dogs can freely move in the dark? How did they even get robbers trying to steal your valuables when it’s dark? Well, dogs have tapetum lucidum, which gives them the ability them to see even when it’s dark. Canine Fact Number 4: If he/she is acting comical, go find your umbrella. Although scientists have not yet found the mystery behind this, but according to some, dogs can determine the weather especially when it’s going to rain. 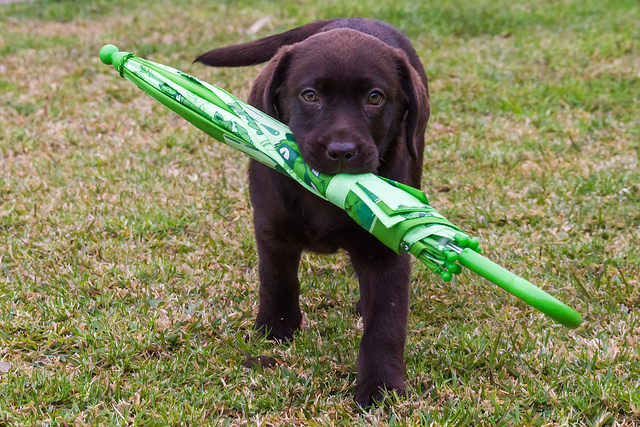 So, the next time you discover your dog acting funny, go get the umbrella straight away. Besides, it pays to be all set at all cost. Dog Fact Number 5: Dogs don’t sweat like we do. Dogs do not sweat everywhere. As a matter of fact, they only sweat on their pads. When you find that their paw pads are sweating, you get the notion that the area is a bit warm for them to reside. Dog Fact Number 6: Your dog’s nose is wet because he/she is absorbing scent. Popularly known to be the captain of scent, dogs secrete a mucous on their nose to help them recognize the scent (more accurately than we do). When their noses get wet, they would lick them to sample the scent they have gathered with their mouth. 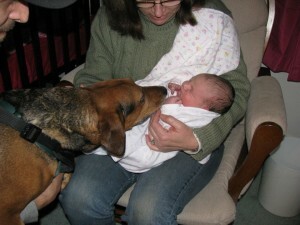 Canine Fact Number 7: They are the chief of scent. Dogs can smell 100,000 times more accurate than their owners. No wonder why even the FBI and peace order departments of our local government search help from them in searching unwanted items in certain public places. This also explains why when you leave your cookies unattended; you would be left with nothing but the food container. 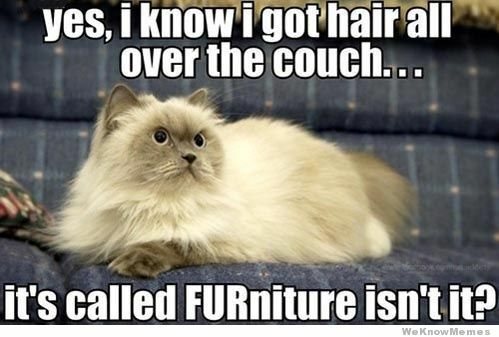 There are other things that you do not understand about your pet so do not easily label them by the way they act or kick after peeing in your couch. Some of the strange stuffs they do may really be funny but it is always ideal to visit your vet on a regular basis. 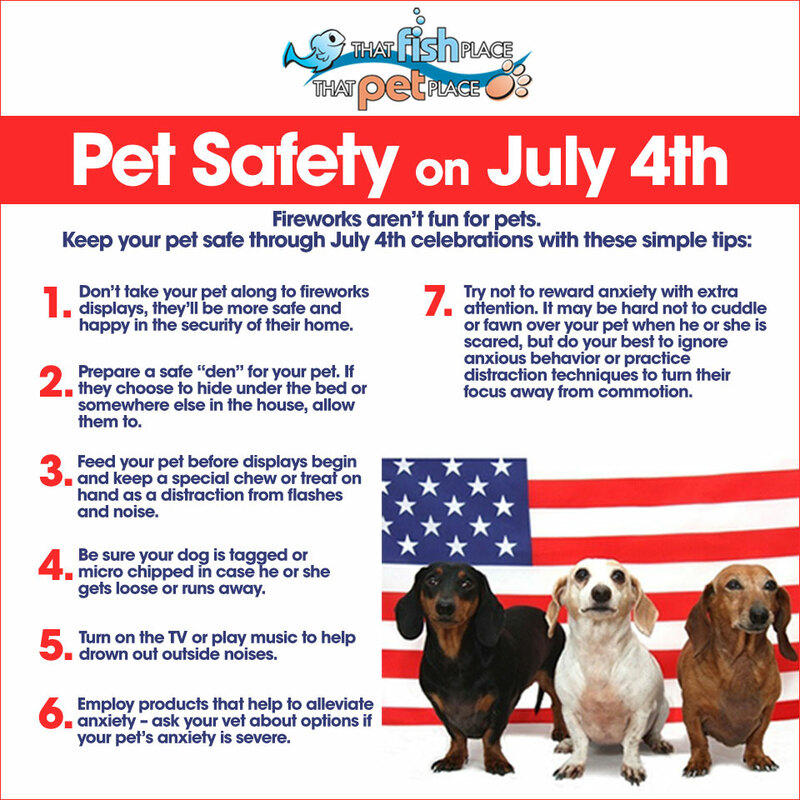 Do you want to know more about your pets? 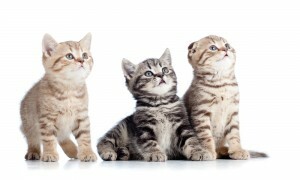 Visit http://www.hopianimalhospital.com/ and discuss your pet concerns with people dedicated to provide pet care services for the wellbeing of your pets. The answer to this very common question is “It depends.” It depends on your dog’s age, temperament, personality, and any past experiences they may have had in a crate. It is very important not to rush the process of crate training. Take your time and only proceed when your dog is comfortable with the last step in the training process. If you move too fast, your dog may become anxious or fearful of the crate. The purpose of your dog’s crate is to provide a safe, comfortable environment where your dog can retreat to if they are anxious, scared, or there is too much excitement in the house. The crate should always be a safe, welcoming and enjoyable environment, which is why you should never use the crate as a tool for punishing bad behavior. Make sure to provide plenty of treats, praise, fun toys, and love while you are crate training. Your dog will learn to enjoy time in the crate and will begin to use it on his own, without you asking him to go to his crate. The second most common question we hear has to do with whining. Many puppies have this issue in particular and it can be heart wrenching to listen to. Lets talk about some steps to try if your dog is whining while they are inside their crate. What do I do if my dog is whining? You never want to let your dog out of the crate when they are whining. This only serves as a “reward” and they’ve now learned that whining will get them out of the crate. Consider first that your puppy may be whining because he needs to go to the bathroom. Calmly take him straight outside to do his business and return him to the crate without any stops along the way. 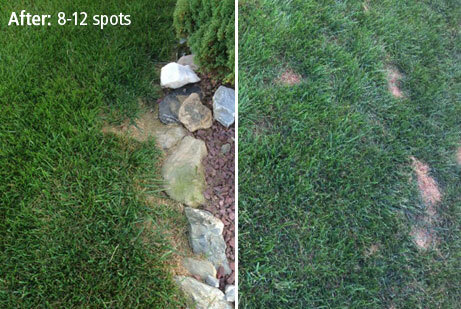 Preventing Lawn Urine Spots: What are Dog Rocks and How Do They Work? If you have dogs and you like to keep a nice green lawn, you probably have tried every remedy in the book to prevent those unsightly urine burn patches in the area where your dog pees. There’s a new product in town that claims to prevent your dog’s urine from burning your lawn when used as directed. Lawn burn cause by my boys’ leg lifting near the edge of my garden. 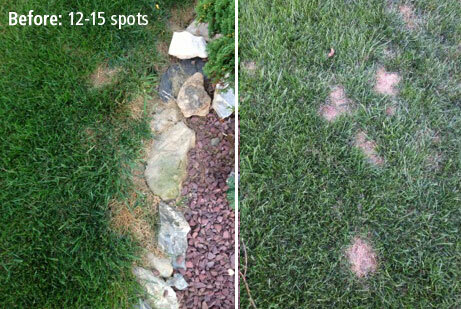 Dog Rocks are not going to rid your lawn of existing urine spots, but is intended to prevent new spots. This is an important distinction. 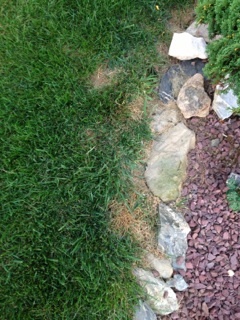 Diet also plays a key role in how many urine burn patches you have on your lawn. A diet very high in protein creates more nitrogen in your dog’s urine. Feed a high quality diet for the best results. 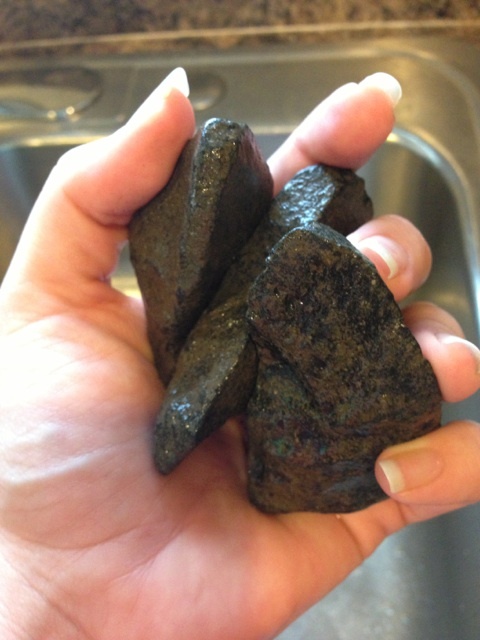 Dog rocks will not alter the amount of nitrogen (nitrates) your dog produces naturally.